*Print the black and white version for students to assemble and color. *Print the color version to hang on a bulletin or house display. 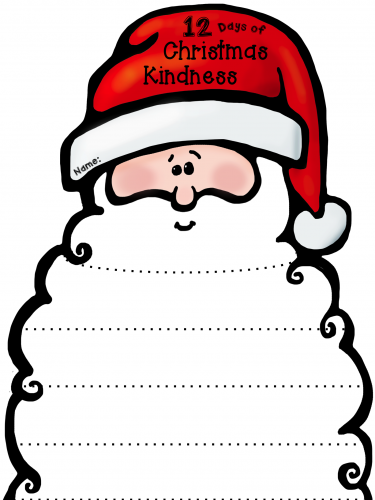 *Use the editable version to create your own personalized kindness ideas. 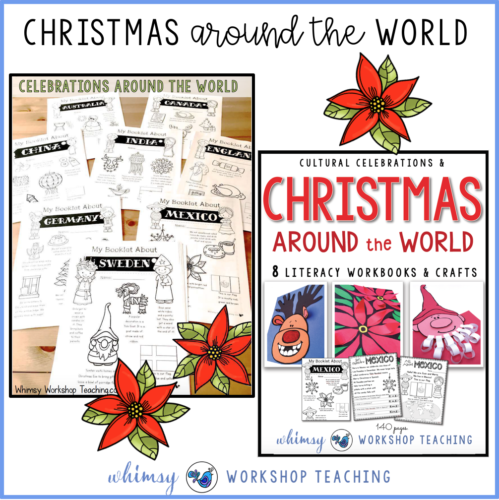 *Send home the blank version as “holiday homework” ; students use each space to record kind things they did over the holiday, and SHARE the ideas in January. This keeps the idea alive even when Christmas is over. 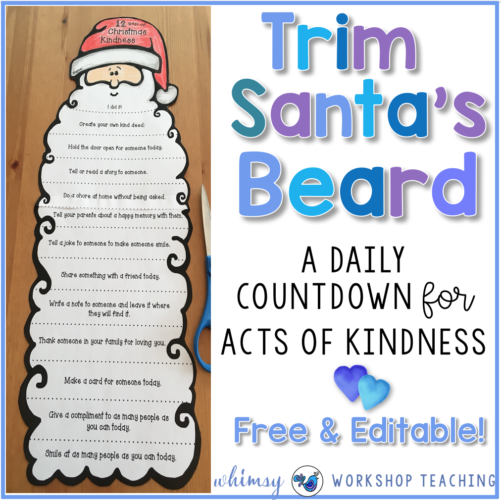 *Use the blank editable version to create your own projects or Christmas lists! 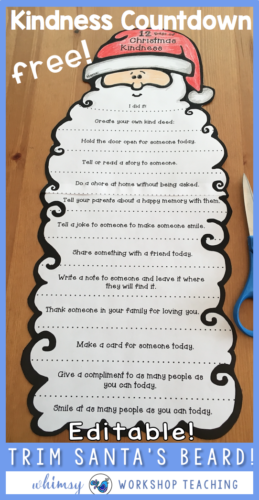 Need More Idea for Teaching Kindness? 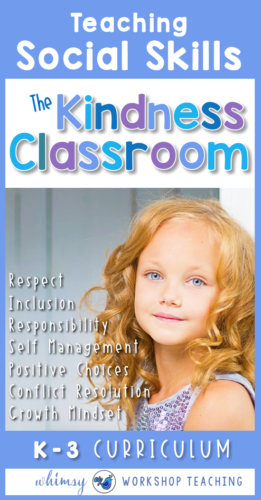 Check out an entire year of Social Emotional Learning lessons, stories and activities that will help to create a peaceful and productive classroom through essential social skills! 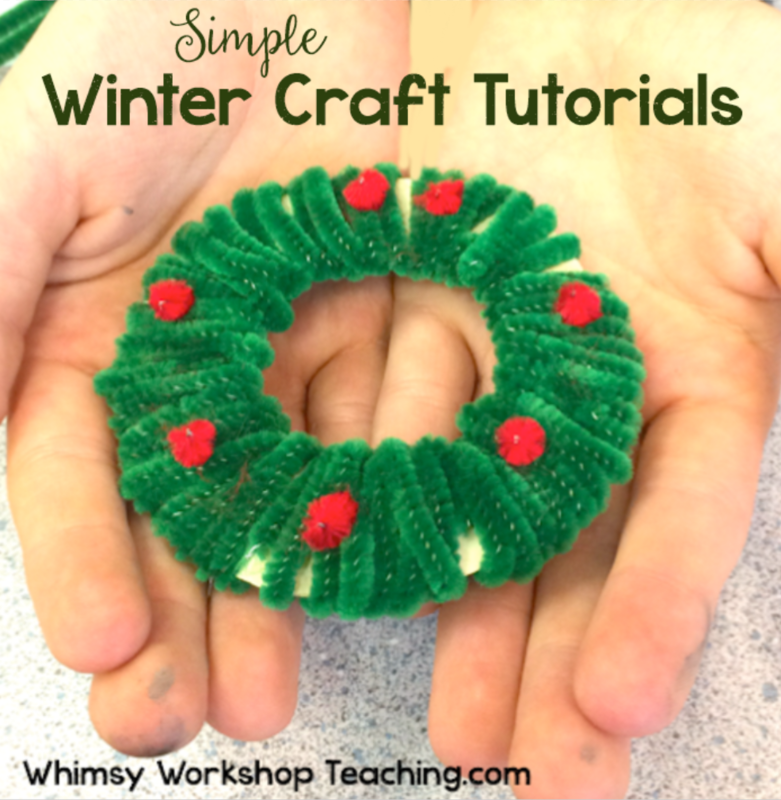 Click HERE to see LOTS of pictures and sample lessons in the preview! Need More Ideas for Seasonal Art? 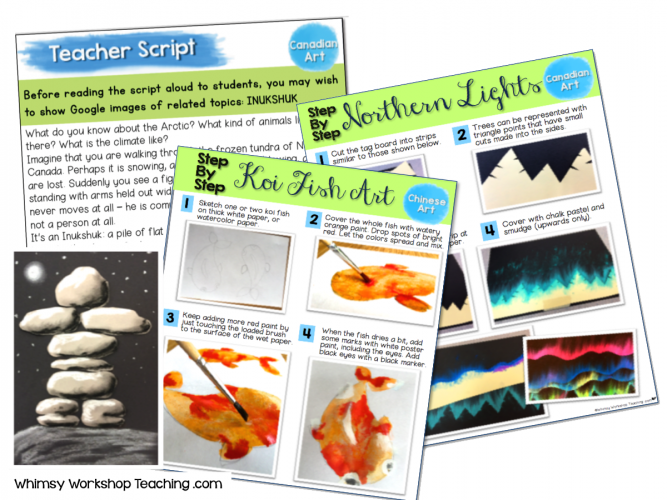 If you’d like to see more step-by-step photo tutorials, you can choose from these huge collections of art lessons for elementary classrooms. 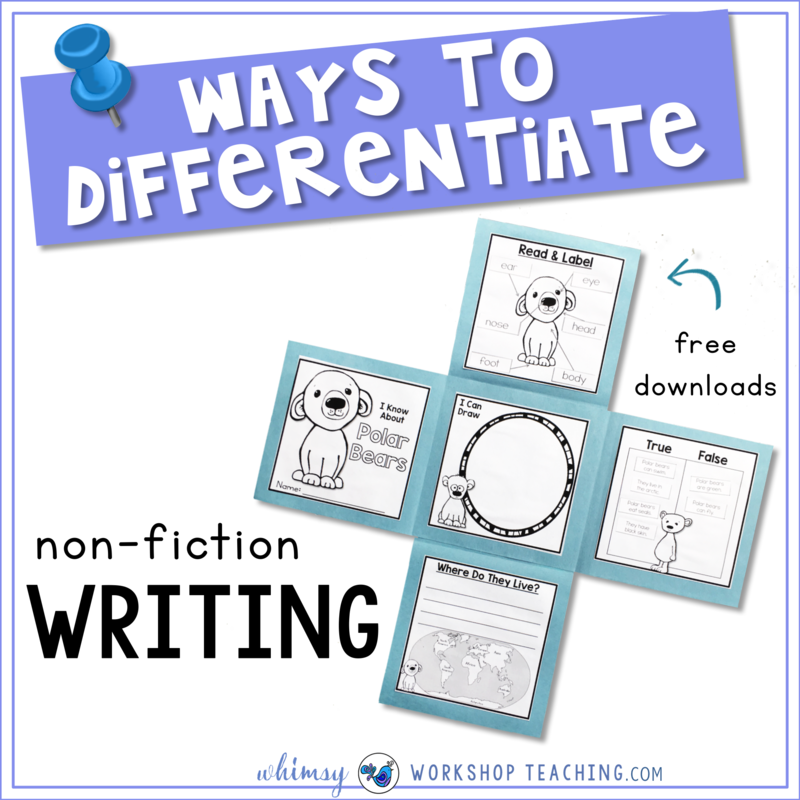 Each has lots of photos, a teacher script to read aloud to students, and literacy components to deepen thinking and expression through writing. 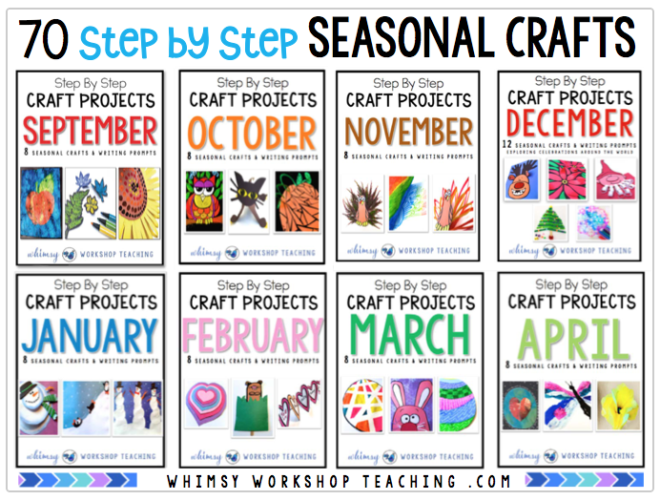 Seasonal Art Ideas: 8 easy crafts for busy teachers for each month! CLICK HERE to see the collection from September to December. 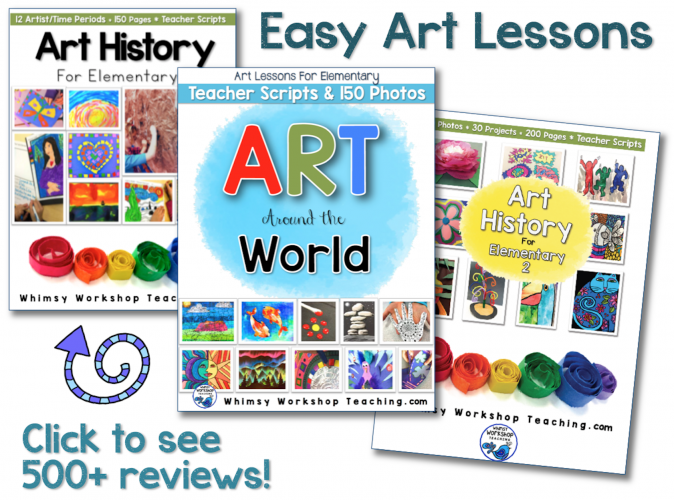 Art History and Art Around The World: Easy art lessons and literacy components with photos and read-aloud scripts for teachers! This way you can teach art effectively without a background in art history. Oh, Susanna … this is brilliant! I've just shared it on my What's Under Your Cape? FB page! Thanks much. These are just perfect for my kinder-bears. 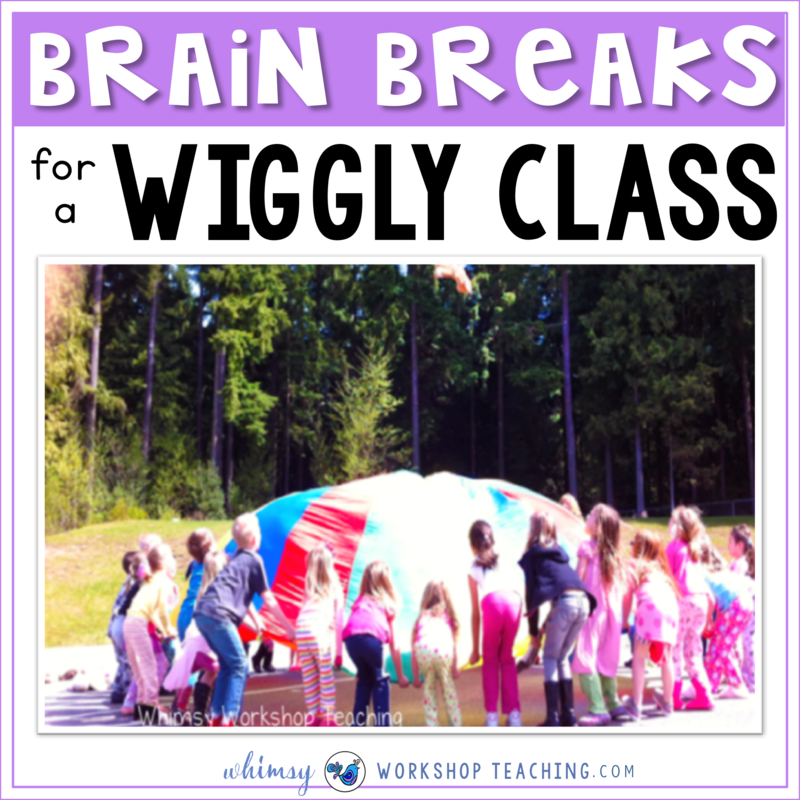 They will be a great way to work on our sentence building and our mechanics, too. I know these will produce some wonderful memories for parents to stash away for the future. Thank you. This is great! Thank you SO much for sharing your wonderful ideas and creations with us!